Are You Relocating Out of the Area? Serving the Mid-Hudson Valley for 49 Years! "Promises Made - Promises Kept"
Lovely Raised Ranch in the Town of Newburgh with Wallkill Schools. Recently renovated kitchen with Cherry cabinets, granite countertops, tiled floors, eat-in kitchen area, large living room with new hardwood flooring and built-in bookcases, formal dining room with new hardwood floors, full bath on main level, Master bedroom and two more nice-sized bedrooms. Downstairs has a family room with new hardwood floors, woodstove insert in the brick fireplace and full bathroom, walk-out to a patio, new washer/dryer and a screened-in porch off the kitchen. Great commuter location. 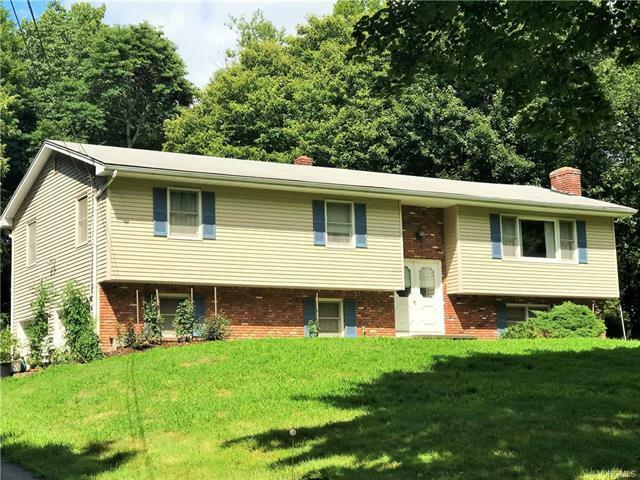 Close to I-84, Thruway, shopping and more. DON'T MISS A NEW LISTING!